Size of this preview: 800 × 455 pixels. Other resolutions: 320 × 182 pixels | 640 × 364 pixels | 1,024 × 583 pixels | 1,680 × 956 pixels. English: Crystal formations known as Rose Rocks. 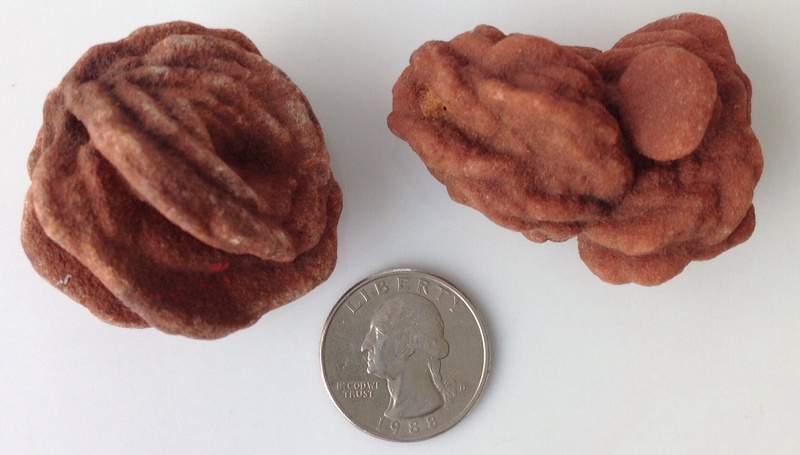 These specimens are sourced from Cleveland County, Oklahoma, USA with a US quarter for size reference.